A healthy and fresh mind can make world Healthy. We all know how yoga is significant for us. It exercises not just your body but your mind as well. With a healthy body and mind, you're on your way to a more fulfilling life. 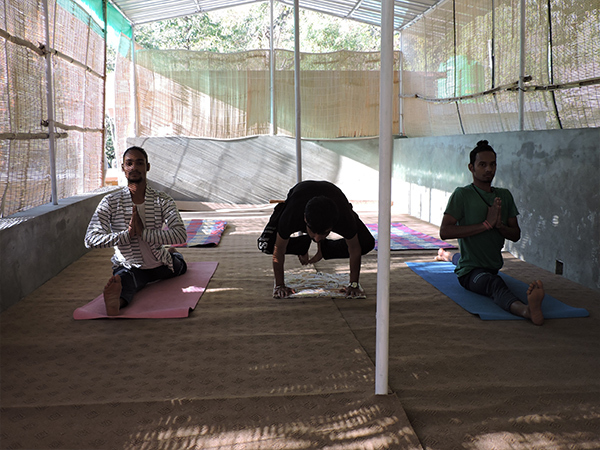 Come to ‘Real Adventure Guru’ and experience the profound benefits that yoga brings to mind, body and spirit. 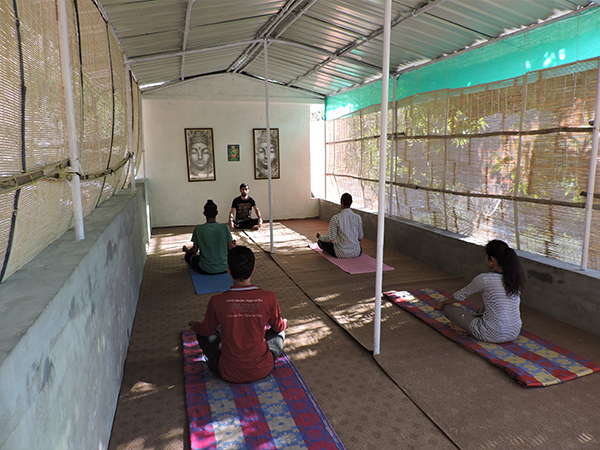 We offer the ideal spiritual and healthy environment for Yoga practice. 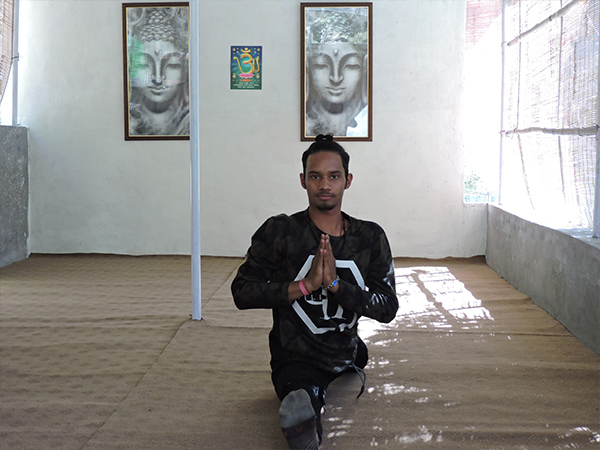 Our Yoga Experts will help you to establish a solid foundation to living a life of peace and happiness. During your stay, discover new ways of increase your spiritual knowledge. 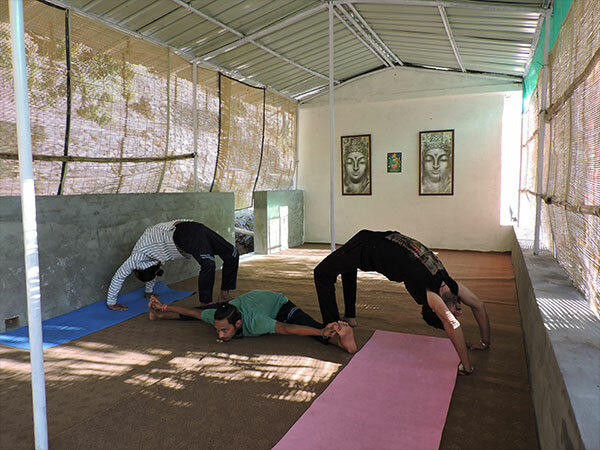 Perfect your own practices under the guidance from our Yoga experts. Chanting, Puja havan at mahadev temple @daily. Cleaning Process- Neti , Kunjal ,Tratak. Ganga aarti @daily evening time . Games- volley ball, dart bord, chess, ludo, carom, Badminton. Food- Daily nutritious vegetarian meals /pahadi food ,lemon juice,herbal Teas. Vehicle beyond 27-seater buses are not allowed in the hilly areas. 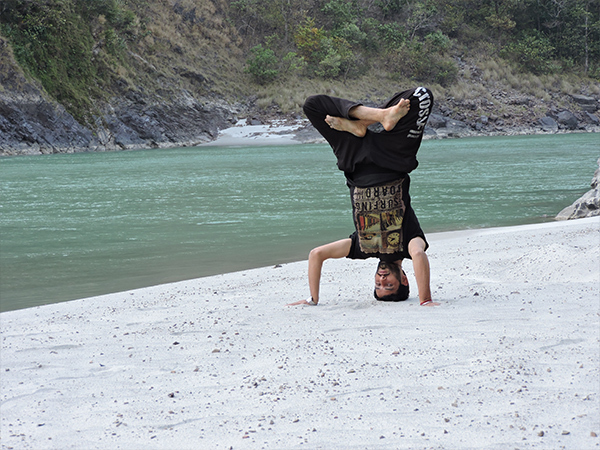 One can take an overnight Bus from New Delhi for Rishikesh and use local transport to reach Real Advanture Guru. A train can be Haridwar, Rishikesh thereafter a vehicle can be hired to the campsite. A vehicle can be hired from Airport to the camp. Full payment is to be made in Advance for Booking Confirmation. 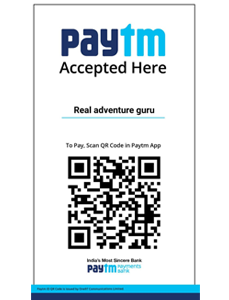 After making the payment, please send the Payment Advice / proof at info@realadvantureguru.com. On receipt of payment, Booking Voucher will be e-mailed to you within two working days. A print copy of the Booking Voucher is to be presented at the time of arrival. All bookings are subject to availability and confirmation by payment of Non-refundable Advance. Balance Due (if any) must be paid before Check-in. All packages are ‘group packages’ and same services/items are applicable for each person in the group. Total package cost will not be affected if there is any reduction in the number of persons. We entertain only those persons at the campsite for whom the booking has been made. Real Adventure Guru reserves the right to alter or cancel any trip depending upon the prevailing conditions.